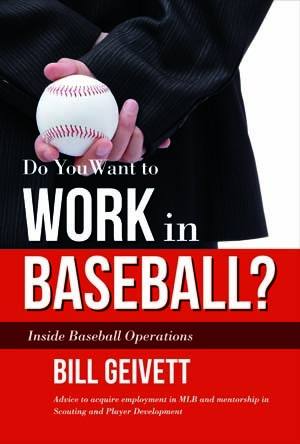 Click here to purchase “Do You Want to Work in Baseball? through Amazon. Purchasers outside the United States: may have to buy through Amazon or Barnes and Noble. If you would like an autographed book, please contact me through the Contact tab – shipping cost will need to be adjusted accordingly.